How to Reverse a String by Word using StringTokenizer and Stack class in Java ?. 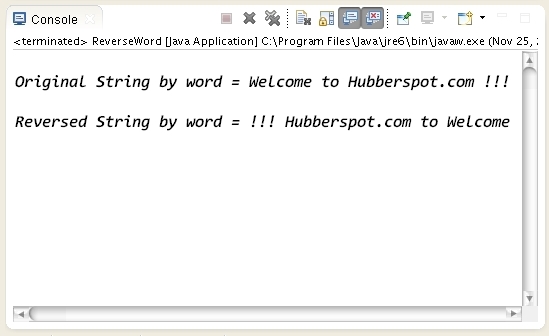 Program to demonstrate how to Reverse a String by Word using StringTokenizer and Stack class in Java. // Create a test String which is input to the program. // break it into tokens seperated by spaces. // class which stores the Object in the form of LIFO. // has no more elements left which are seperated by tokens. // us the next string in the class. // last element added to the collection. // Printing the string over the console.